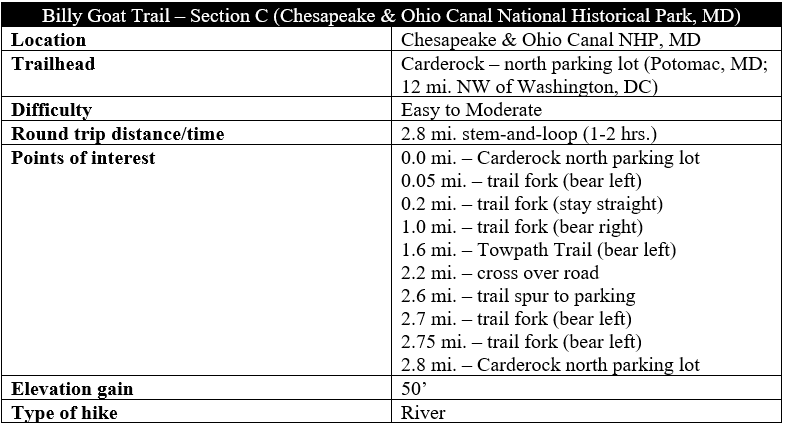 Section C of the Billy Goat Trail forms a circuit around Carderock Recreation Area, itself inside Chesapeake and Ohio Canal National Historical Park and just off Clara Barton Parkway. Carderock, a popular rock climbing destination, has multiple parking areas; the Billy Goat Trail is most easily accessed from the southernmost and northernmost parking lots. For the purposes of this description, start the hike at the Carderock north parking area. From the parking area, head for the far end of the loop drive and catch an unmarked but well-trodden path that bears north. (Note: There is another spur trail that takes off from the restrooms and heads west to meet the Billy Goat.) For much of the year, there is a muddy bog off to the right. 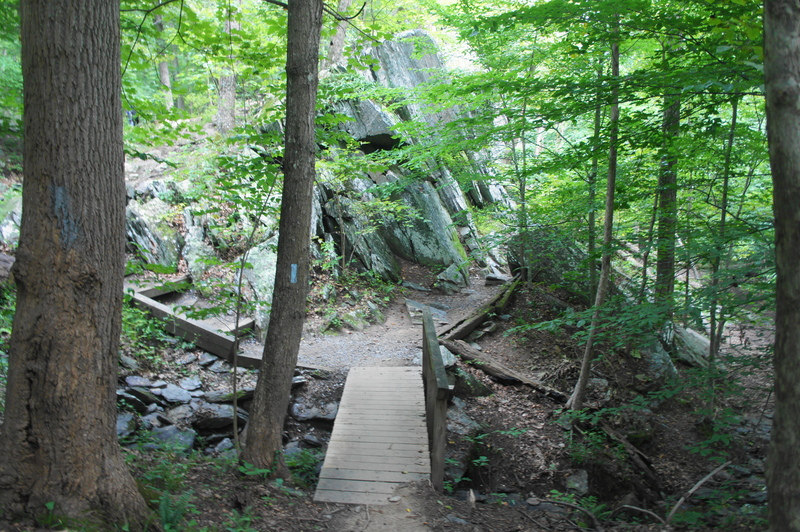 In about 125 yards, the access path merges with the Billy Goat Trail; bear left, immediately dropping down a sloped hillside dotted with the area’s characteristically jagged metagraywacke, a form of metamorphic rock. At the base of the descent, the trail crosses a short footbridge, skirts a large rock outcrop on the right, and climbs again to make up much of the elevation loss. From here, the trail follows a long depression between two rocky ridges, then approaches a four-way junction at around 2/10 mile. Off to the right is the primary rock climbing area; to the left is a path leading back to the parking area and restrooms. Stay straight, continuing to parallel the stony ridgelines. 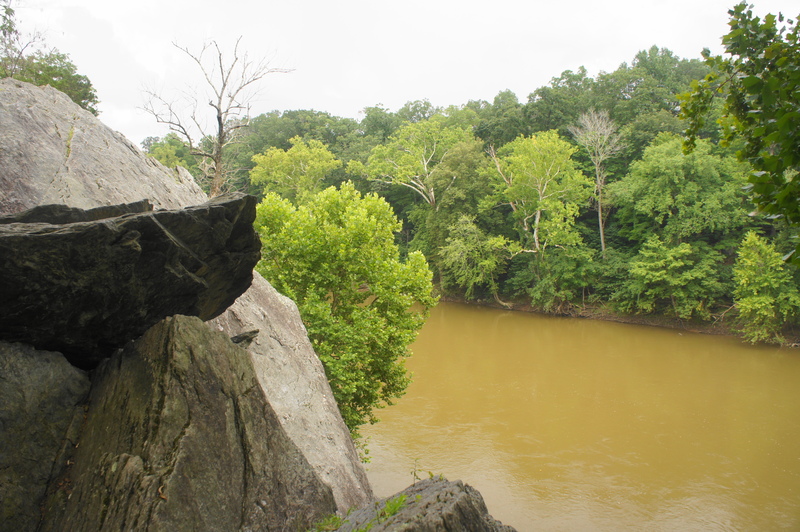 As the Billy Goat Trail continues south, curious hikers can scramble up the rocks on the right for views of the Potomac River. 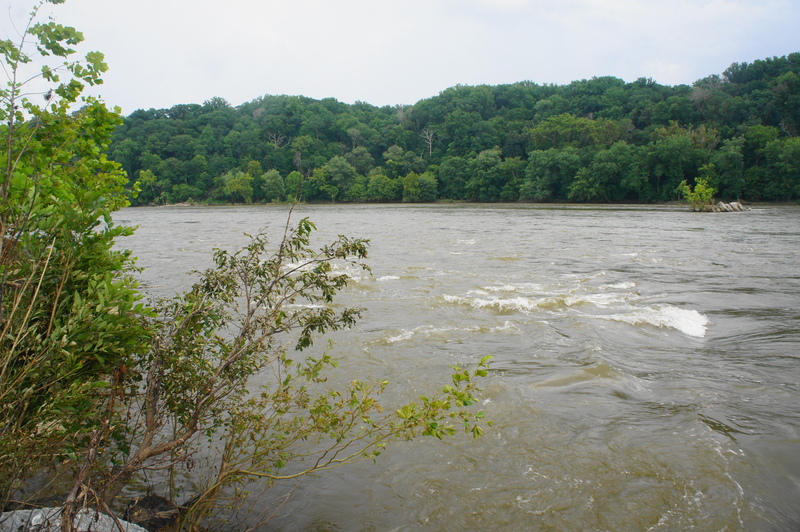 Here the river appears still and narrow—but this is deceptive, as the Potomac here is split into three channels, only one of which is visible for this vantage point. Across the water is Vaso Island, a good-sized wooden islet that conceals the rest of the waterway. At around ¼ mile, the trail briefly bears left, away from the river, before returning to the edge of the ridgeline. Bearing away from the river again, the trail drops down at the 1/3-mile mark to cross a muddy ravine. A little past ½ mile, hikers can see the full river as Vaso Island recedes from view. 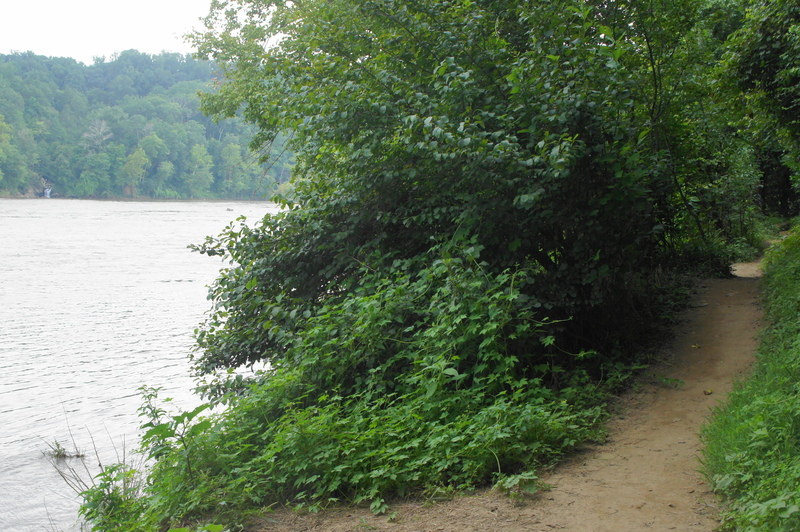 Around a minute later, the trail begins a sharp downhill that ends at the banks of the river, allowing hikers to get their toes wet if they choose. 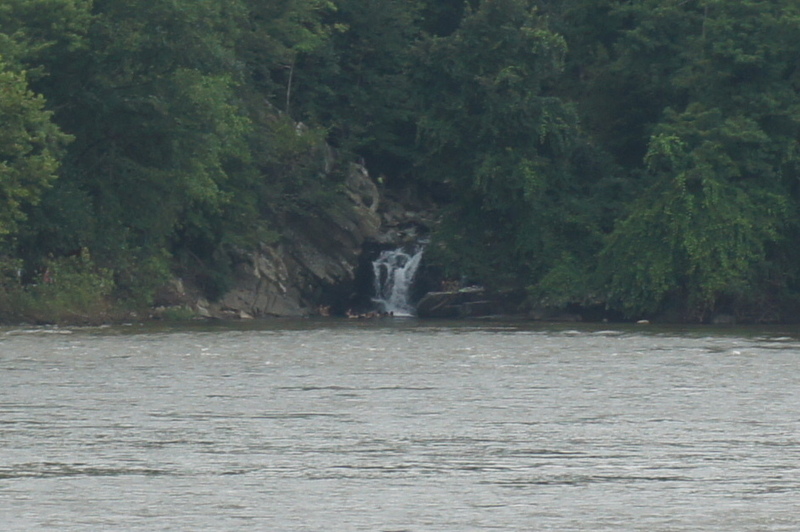 At around 8/10 mile, hikers can look across the Potomac to the Virginia side and spot Scott’s Run Falls, a 12-foot drop and centerpiece of Scott’s Run Nature Preserve. A protrusion of metagraywacke in this area offers a nice place to sit by the water and enjoy a snack while waving to kayakers as they pass. Continuing down the Billy Goat Trail, the path cuts abruptly left and reaches a junction at about the 1-mile mark. A spur trail heading left leads to the southernmost parking area at Carderock, while the Billy Goat continues right. Cross the bridge over a tributary creek, then gaze out over a set of Class III rapids on the Potomac: this is Stubblefield Falls. 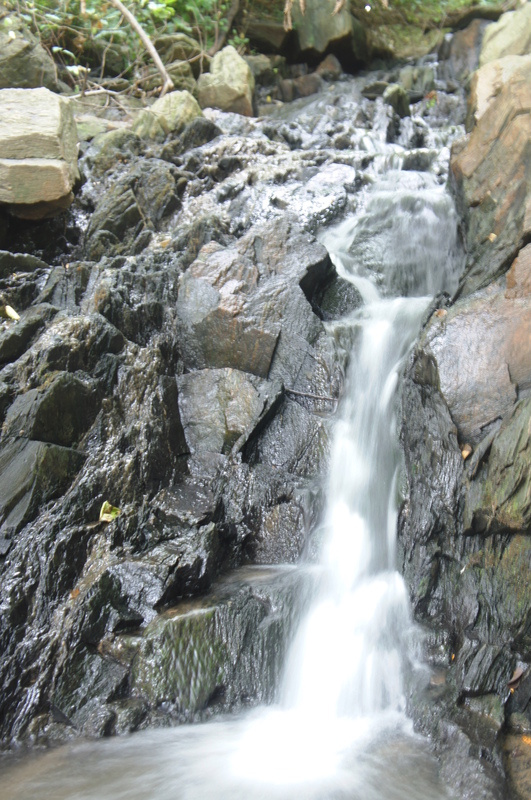 At about 1.25 miles, the trail drops to cross a tributary stream, which features a minor waterfall on the left. 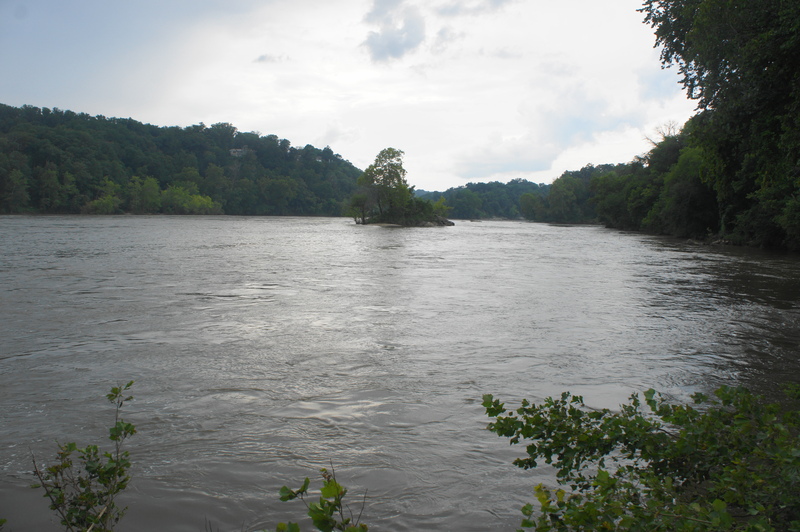 At about 1.4 miles, the sound of the rapids begins to fade, and the trail passes a quiet cove that, at lower water levels, is cut off from the rest of the river. At 1.5 miles, pay attention as the actual trail abruptly cuts left, even as a social trail continues straight for several dozen yards. 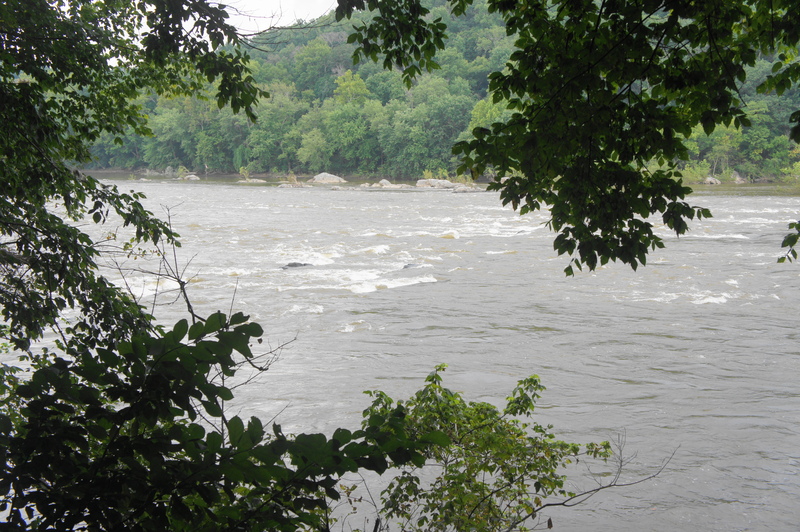 Look for blue blazes as the trail bears north, leaving the Potomac behind. 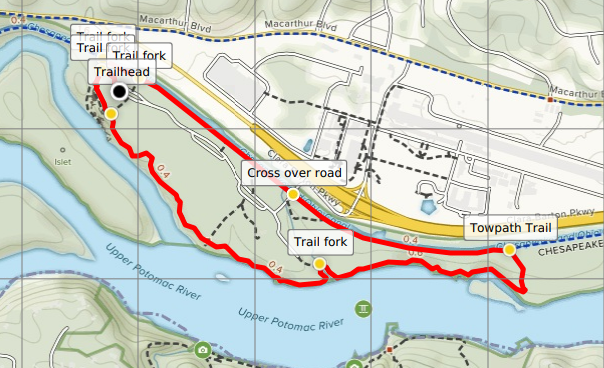 At 1.6 miles, the Billy Goat Trail ends, spilling into the Towpath Trail heading east-west. Bear left and follow this wide, gravel path for a little more than a mile as it parallels the C&O Canal. 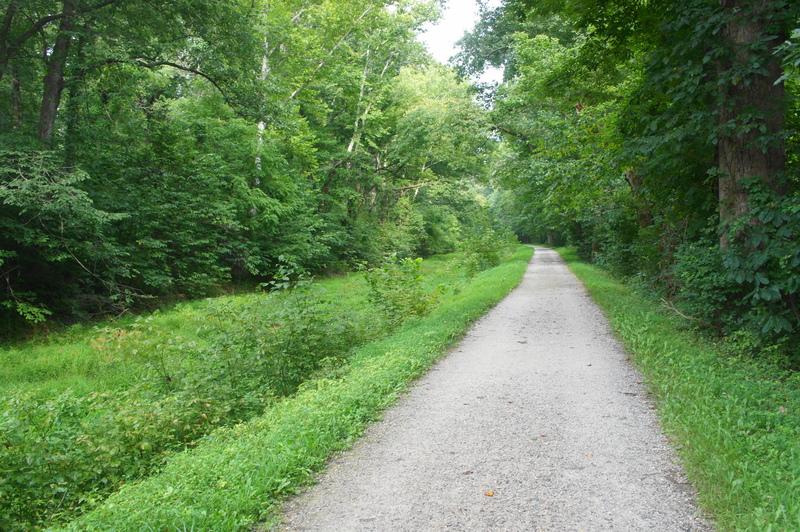 At 2.2 miles, the canal becomes an aqueduct as it passes over the entry road to Carderock, and frequent spur trails head off into the woods on the left. At 2.6 miles, a prominent path bears left to return to the original parking area; hikers can turn here to head back to their cars. Those determined to complete the entire loop, however, should continue another 1/10 mile to the western terminus of the Billy Goat Section C. Take a left here, followed quickly by another left, which leads back to the parking area. Allot 1-2 hours for this easy-to-moderate hike. Check out Billy Goat Section A (3.8 mi. loop) and Section B (2.6 mi. loop), or cross to the other side of the river to explore Scott’s Run Falls. This entry was posted in Chesapeake and Ohio Canal National Historical Park, Easy Hikes, Maryland and tagged Billy Goat Trail, Billy Goat Trail Section C, C&O Canal, Carderock, Chesapeake and Ohio Canal, loop hike, Maryland, Potomac River, Stubblefield Falls, Towpath Trail, Vaso Island. Bookmark the permalink.